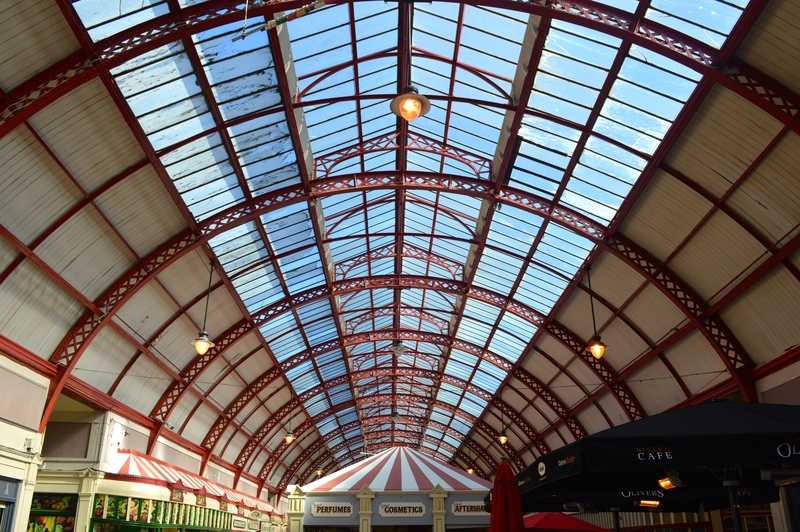 I can’t believe I haven’t been to the Grainger Market very many times despite having lived here ALL my life (ok, with the exception of my two instances of living in France). This place is amazing. Let’s start with the history lesson, there’s a test at the end. I LIE! 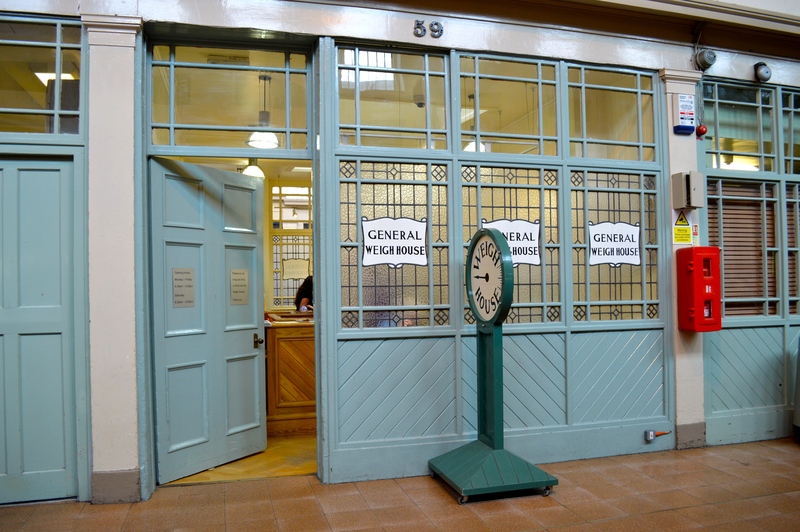 This indoor market was the biggest in Europe when it was first built in the 1830s and is now a Grade I listed building. 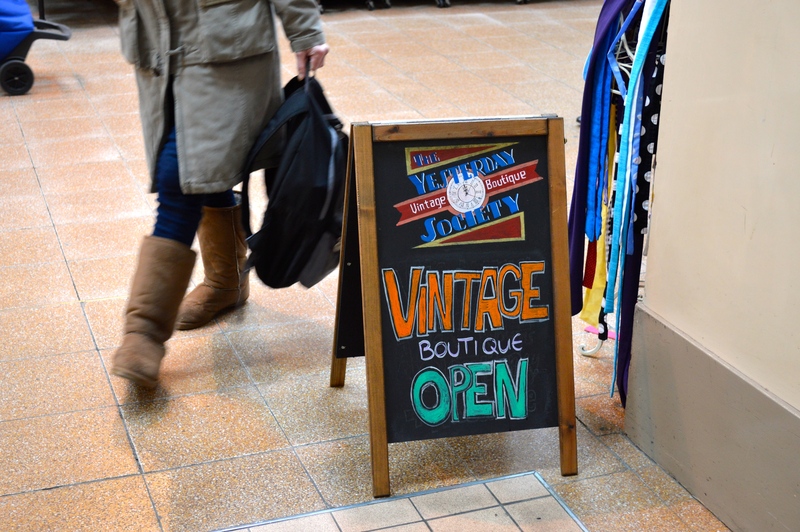 There are over 100 business within this city centre treasure trove and I’m not exaggerating when I say that there is something for everyone here. 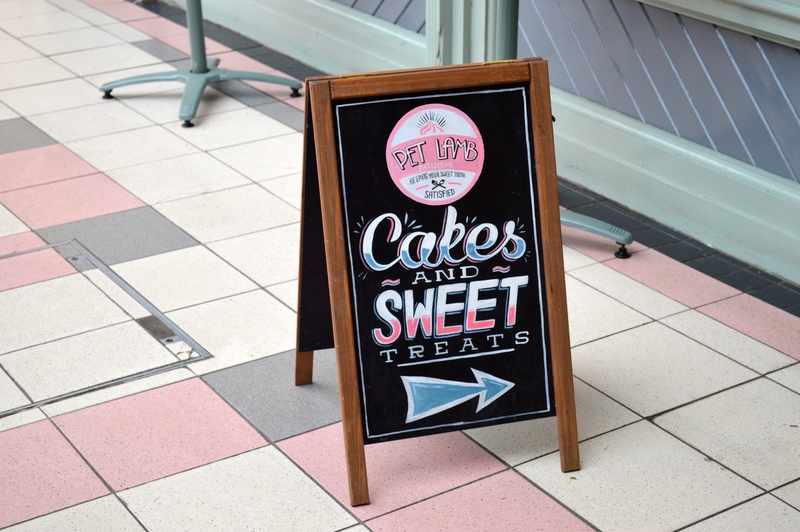 Greengrocers, butchers, fishmongers, fabric, florists, cupcakes, coffee… the list goes on (and on, and on). 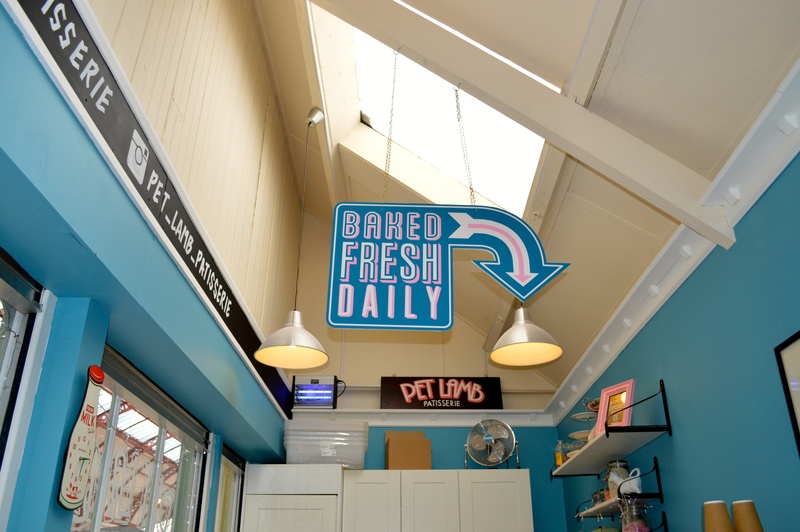 It’s open Monday-Saturdays, closed on Sunday and Public Holidays. 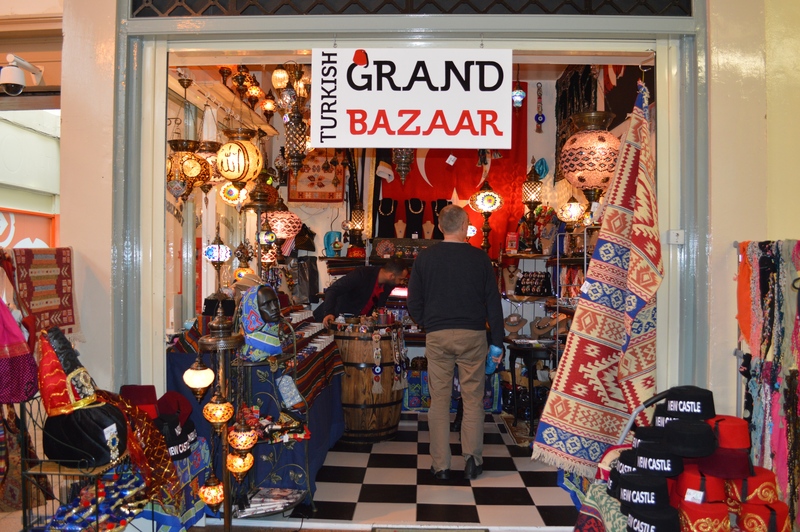 There is also a monthly arts and craft market the 2nd saturday of every month. I spent a large chunk of my Saturday afternoon here, (with my friend for company) and it was lovely to walk around, chatting to people along the way. 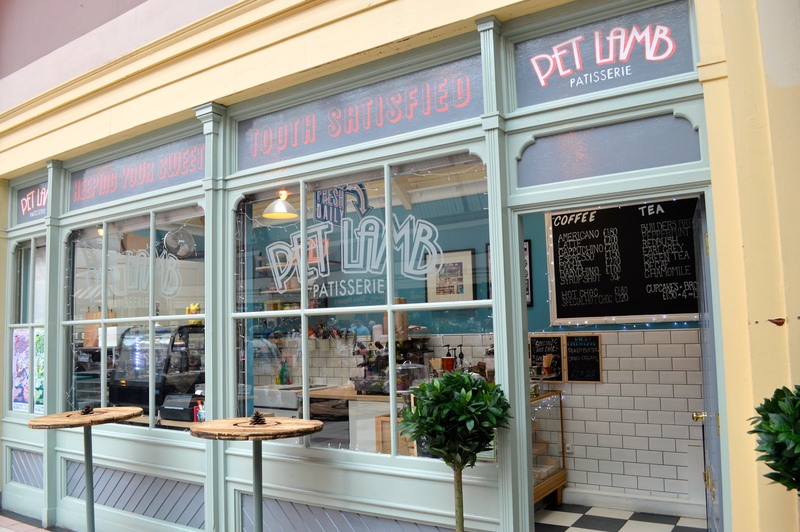 One of my favourite places was Pet Lamb Patisserie which is the prettiest patisserie I’ve visited in a very long time! 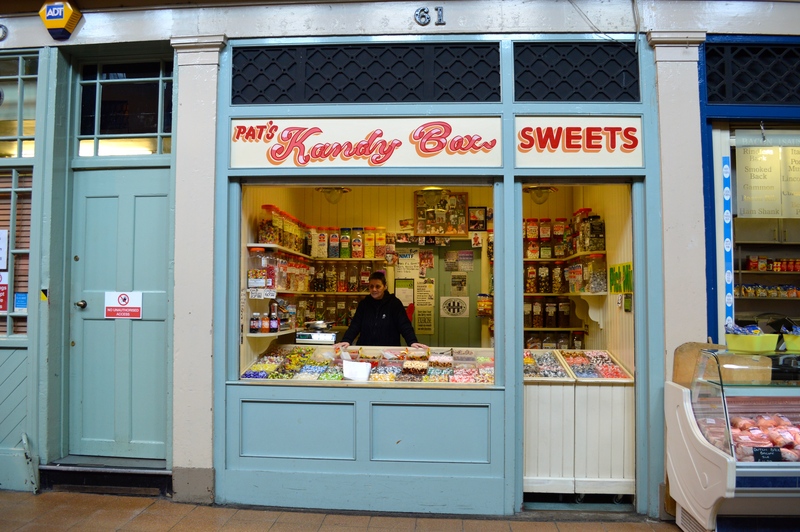 Katie & Kay, the loveliest bakers in town, founded Pet Lamb in 2009 selling their wares at markets and shows and have been in the Grainger Market for 2 years now. I bought a nutella brownie for the hubby, and a chocolate peanut butter crunch for us to share 😉 (I can confirm that both of these baked delights were utterly scrumptious). 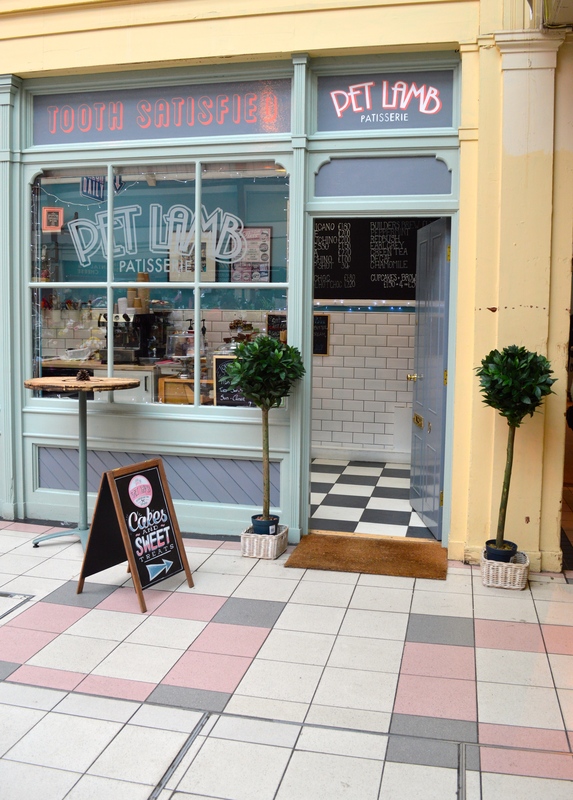 The Pet Lamb lasses (if any non-Geordies are reading, lasses = girls) were kind enough to let me snap a few photos. It may seem like there are a lot of photos… I couldn’t help it, it’s just so pretty! 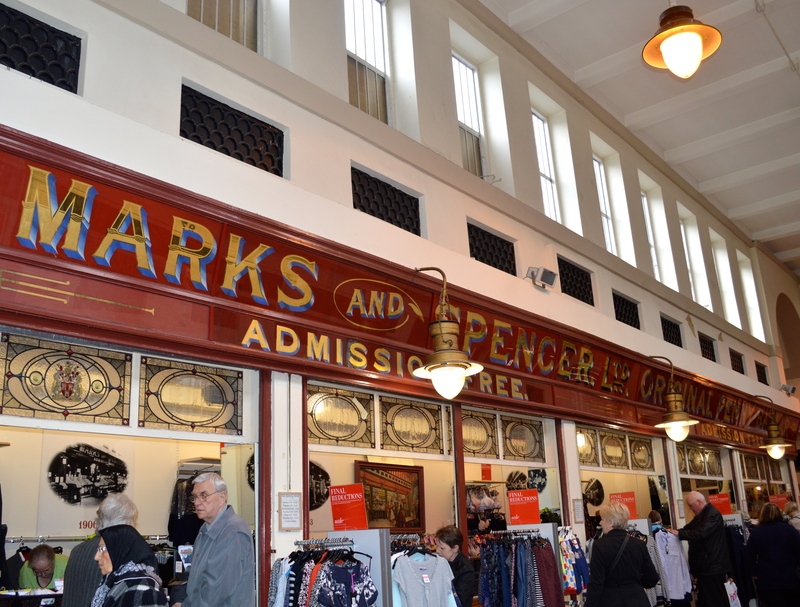 Some more history for you… The Grainger Market is also home to Marks and Spencer’s Original Penny Bazaar, the smallest M&S outlet in the world (if wikipedia is to be believed). 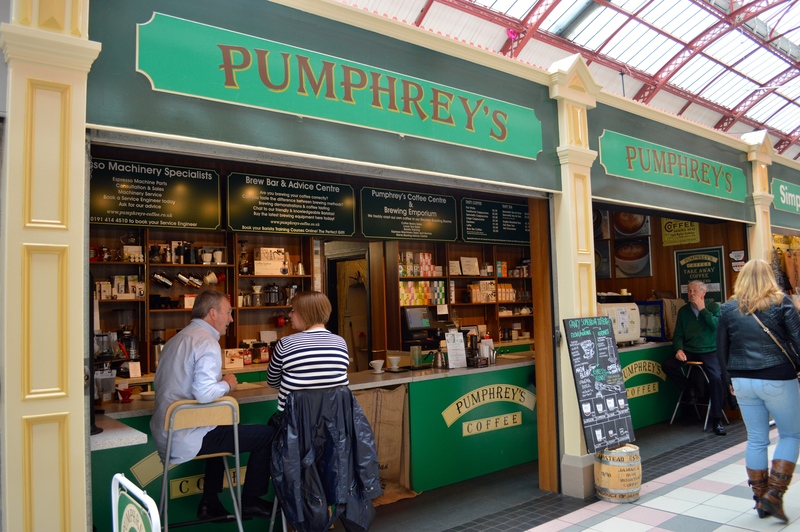 Another place I loved was Pumphrey’s (their history can be traced back to 1750) who are suppliers of roasted coffee, fresh coffee beans, coffee roasters and speciality teas! 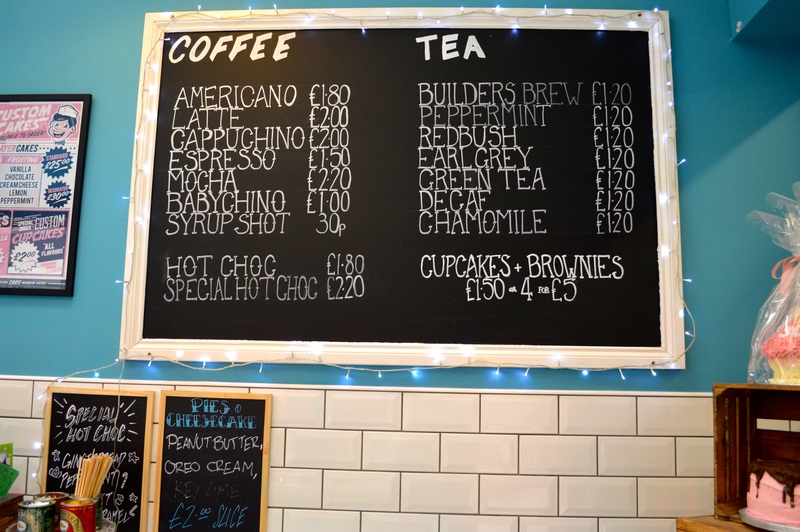 The vast range of coffee on offer is quite astounding. They even run barista training courses. 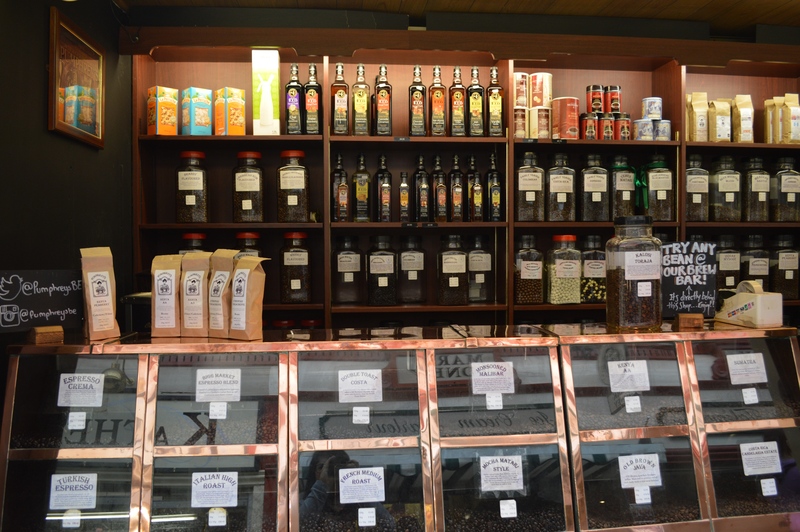 I feel a bit ridiculous saying I haven’t had coffee here, I keep purchasing different kinds of loose tea each time I visit. 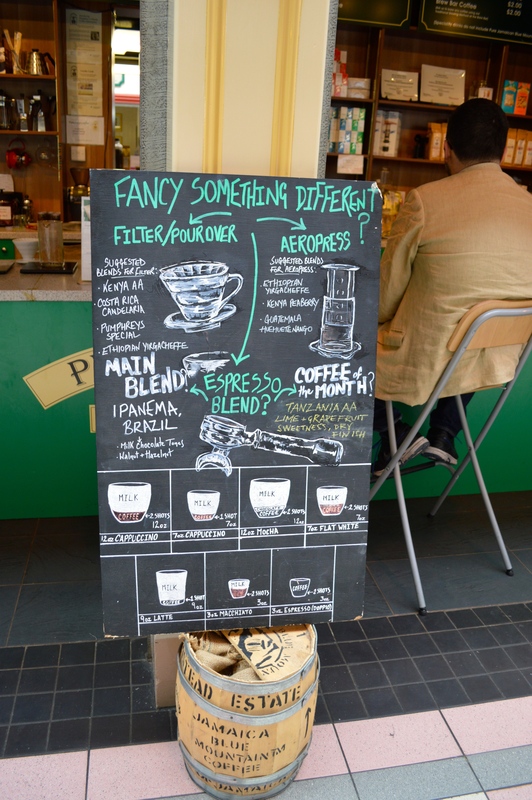 Coffee is definitely on the agenda the next time I visit. 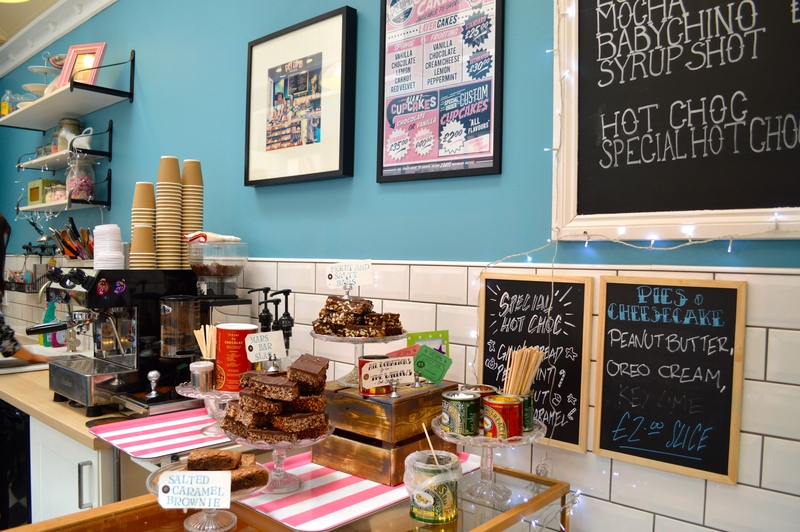 My sister did say that it was the best coffee in Newcastle. 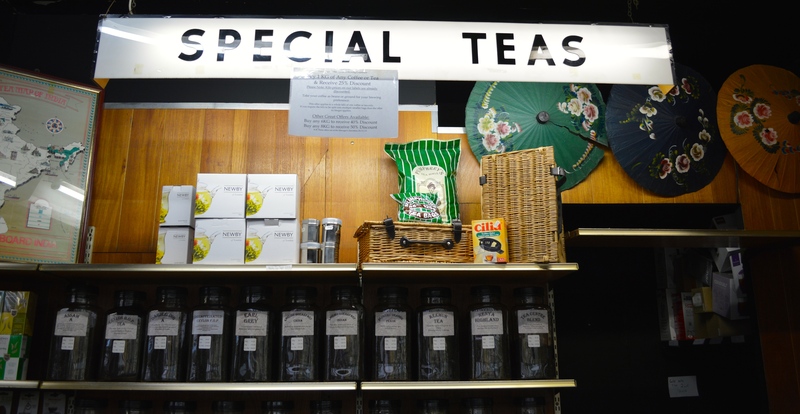 Friendly staff & really delicious teas, I’m particularly fond of their Sleeping Beauty tea. This time I bought China Sencha Wild Cherry. This is super long… SORRY! I’ll finish with a couple more photos, would love to hear what you think. 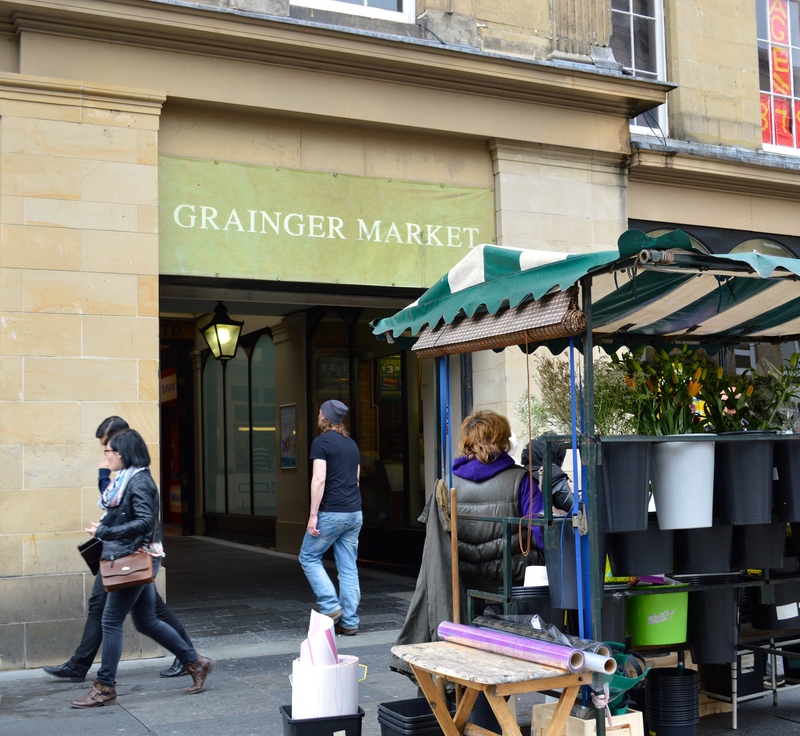 Local folk, have you been to the Grainger Market? Tell me about it! I moved up to Newcastle almost 2 years ago and this has been one of my favourite parts. 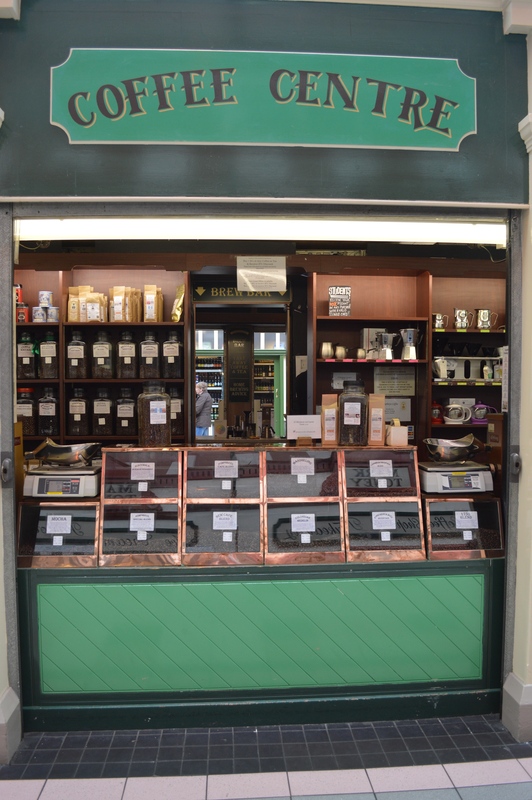 Generally find myself there once a week for the butchers, greengrocers, pumphreys coffee, the french oven, and occasionally the cheese shop and mmm/glug if I am treating myself. The place that sells pizza by the slice and the seafood noodle takeaway are also excellent. I wish it had more generous opening hours but what can you do. 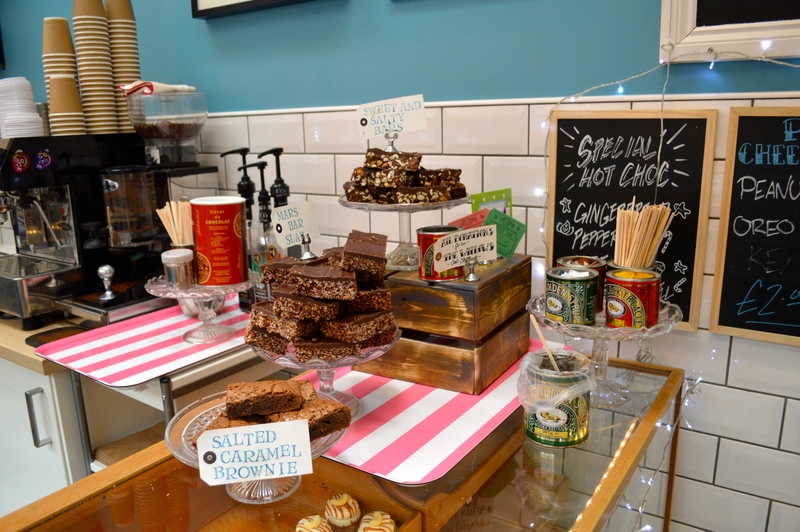 If I found somewhere that sold peanut butter chocolate brownies I’d move in! Sounds delicious!